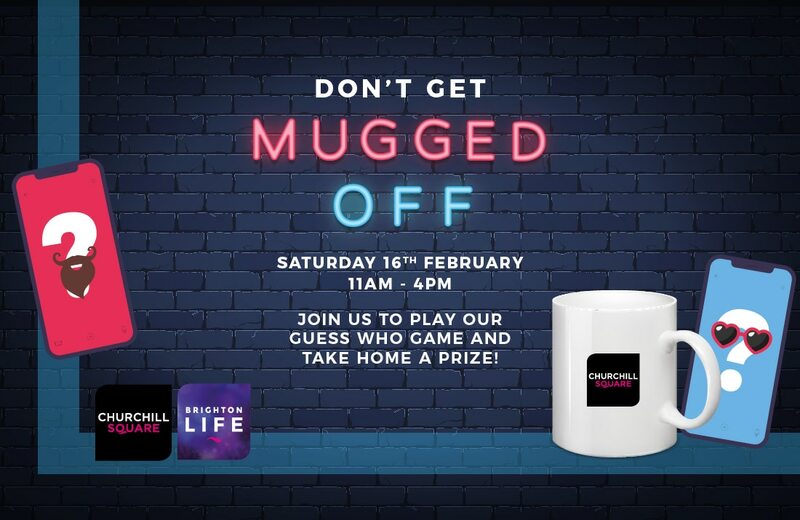 Mugged Off is our new 2019 Brighton Life game that runs from 11am – 3pm. Located in the promotion court, lower mall, bring your pal to have a go. All you have to do is ensure you have downloaded and registered on Brighton Life (which gives you access to some FAB store offers) and have a go on our updated digital version of Guess Who. We don’t want to spoil any surprises so you need to find out for yourself and pop along during the dates below to find out more. All we can say is for now, everyone goes home with something so don’t be muggy, come and play.